I have a firm belief that one can never have too many Harry Potter shirts. 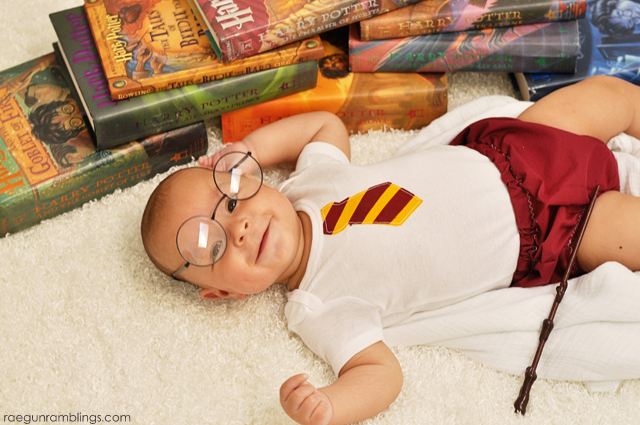 Whether you are the world’s biggest Harry Potter fan, have a Harry Potter lover on your gift list, or you’re ready to deck out the next generation of potterheads I have 11 must have Harry Potter shirts for you today. 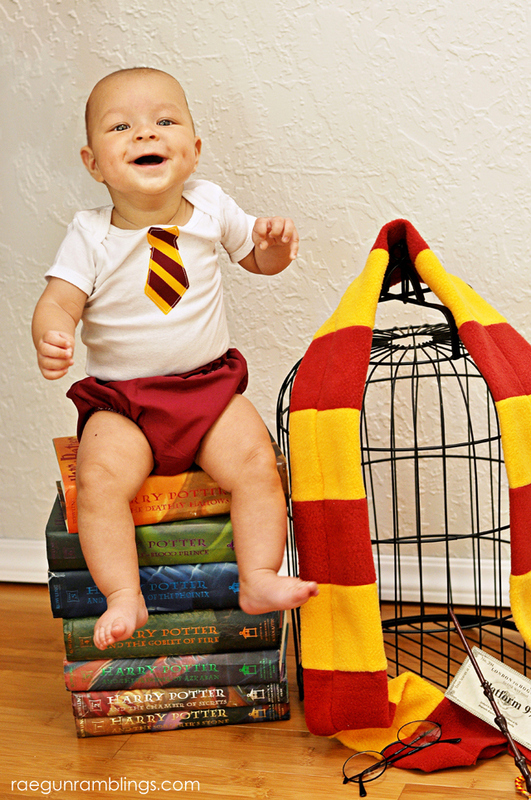 Have your little one share his or her house pride with these great Hogwart’s uniform baby sets. 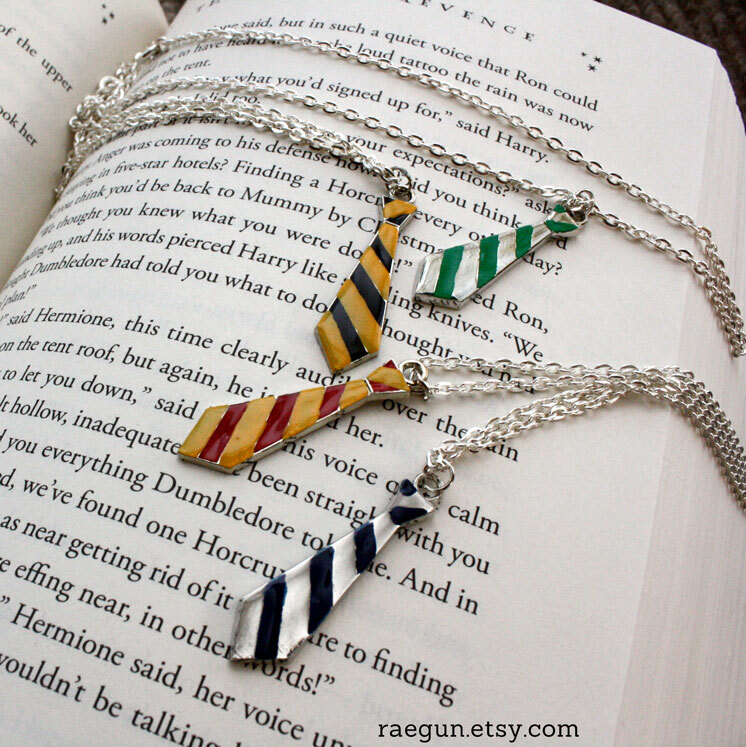 The ties can be ordered with any house in mind (see Slytherin here). They come with cute little coordinating bottoms. 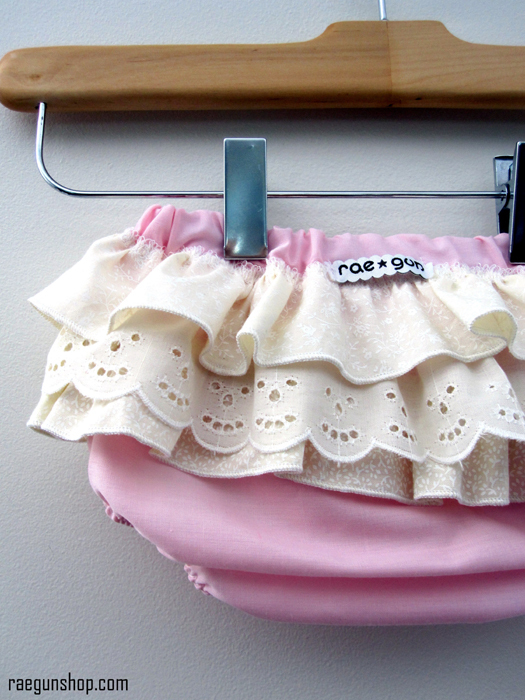 Either plain for the fellas or ruffle on the bums for the little ladies! Do you love looney Luna Lovegood? Crazy glasses, radishes from her ears, nargles and all. This Hogwarts Student Shirts is one of my new favs. Snape is one of the best characters ever, complicated, hate-able, brilliant, repentant, but ultimately totally driven by love. 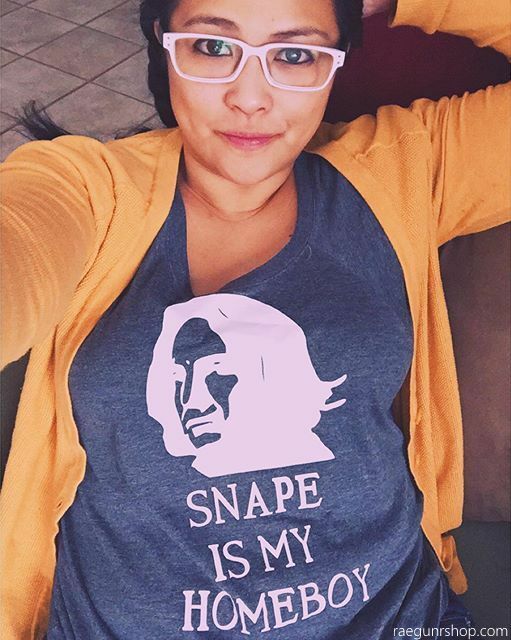 My sister requested this awesome Snape is My Homeboy shirt for our trip to Orlando this past summer and I’ve also listed a version in baby sizes too! Maybe you’re more of a Hermione gal? Books and school and all that? 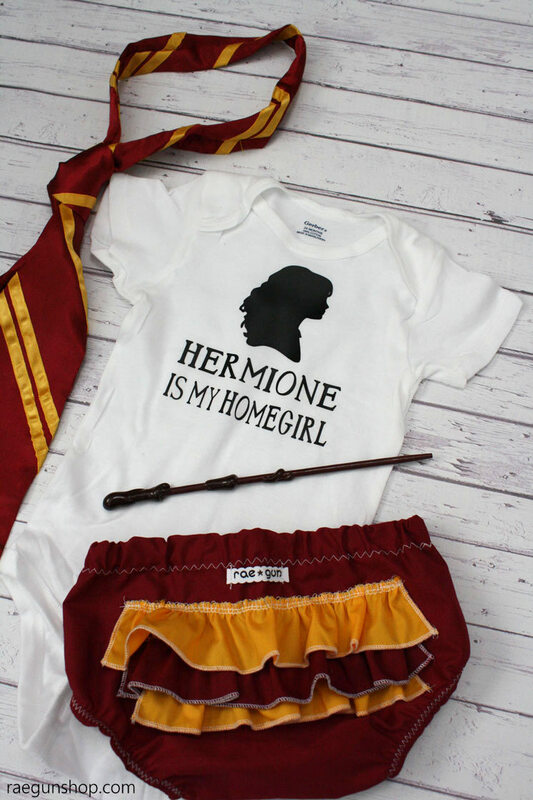 We got SO many compliments on my niece’s Hermione is My Homegirl shirt that I made for her to wear at the Wizarding World this Summer. I promised to add it to my shop and I finally have. Right now I just have the baby version up but if you want one in an adult size I can do a custom order just email me or contact me through the shop. There is just something awesome about Dobby’s straight forward ways. Love this Dobby the House Elf quote shirt. The quote says “Dobby never meant to kill. Dobby only meant to maim, or seriously injure.” It’s perfect for all your crazy little house elves! This was the one shirt my mom wanted for our trip to the Wizarding World. She thought she was soooo funny. Do you have a Muggle in your life? 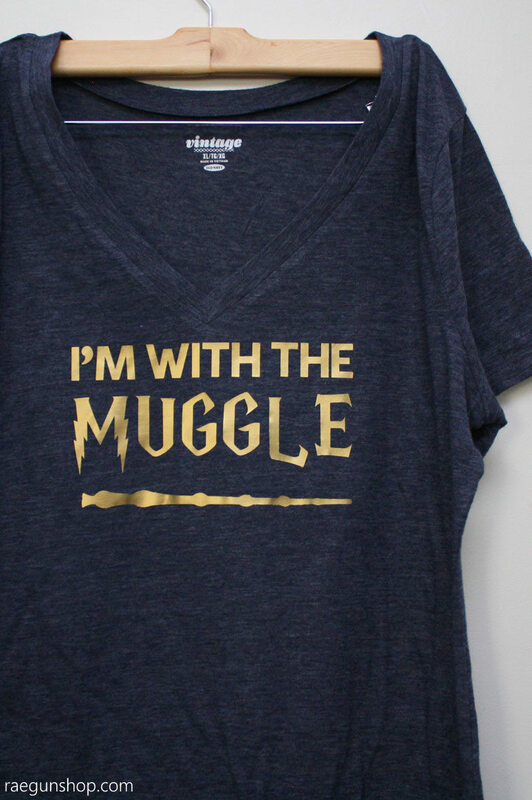 Shout your proud with this fun I’m With the Muggle Shirt. 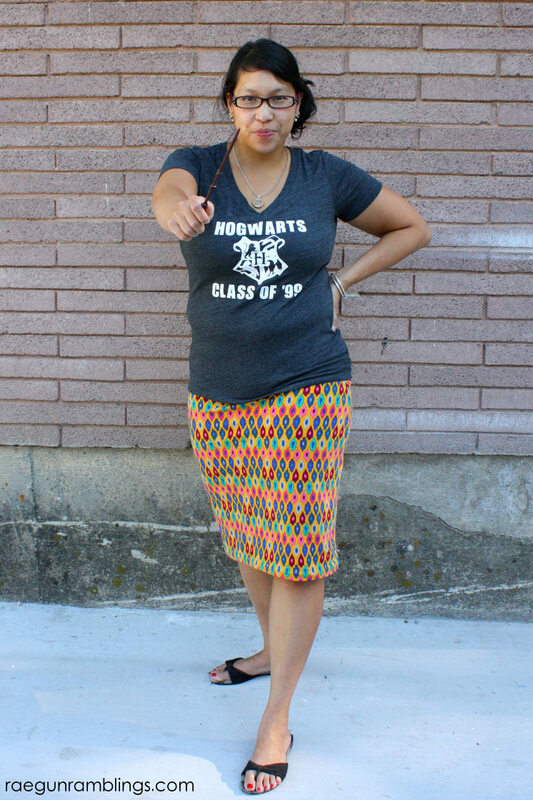 This Swish and Flick top is so simple but screams a love for all things Harry Potter. 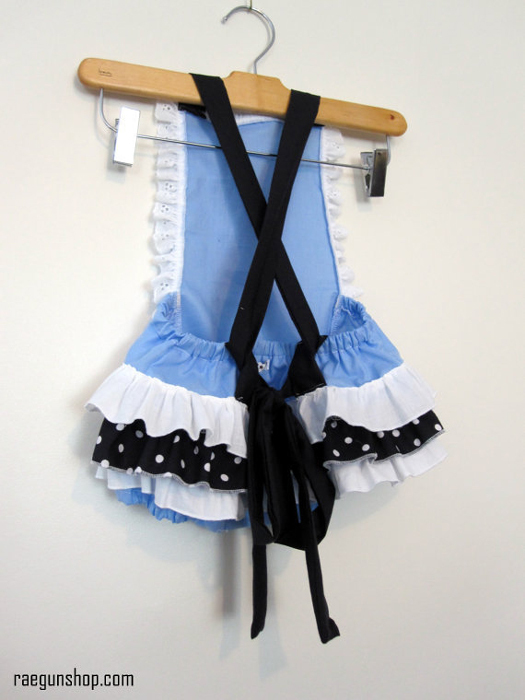 I’ve got the the onesie versions available but if anyone is interested in adult ones I’m happy to do custom orders. 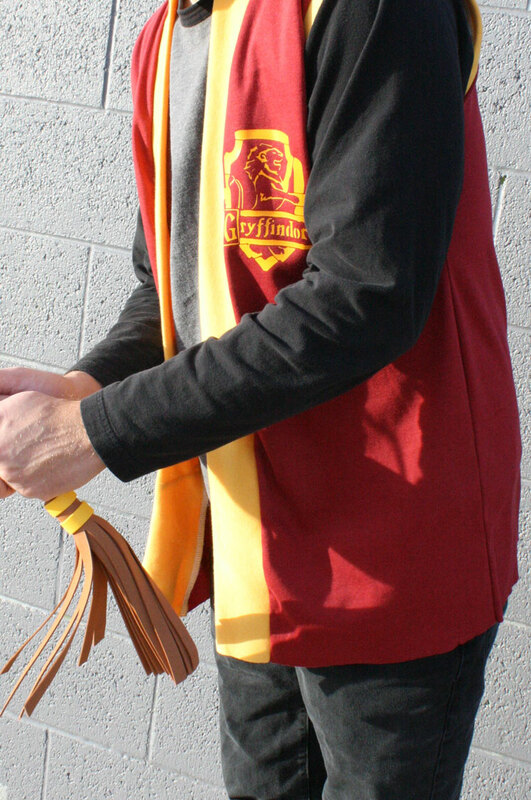 You don’t have to limit your Harry Potter shirts to tees and tanks. 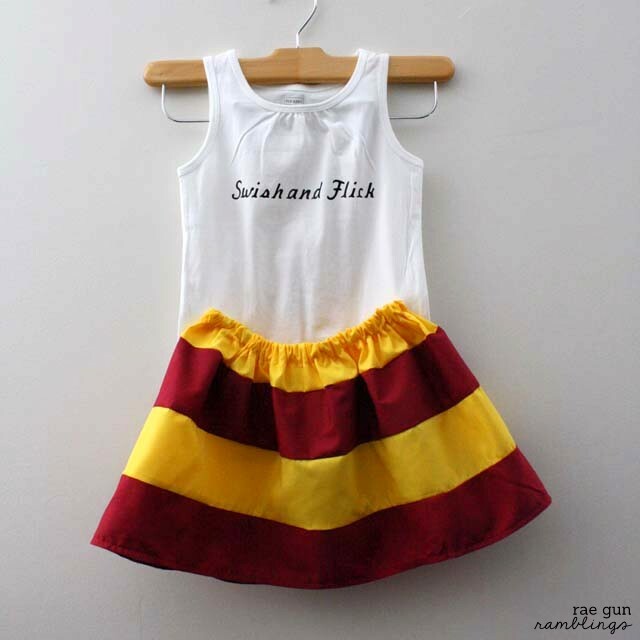 This one size fits most Quidditch jersey is fun to throw over anything. So many family members have worn this one it’s awesome and easy to wear you have to see the back. You can make your own by following the tutorial here or buy one here. 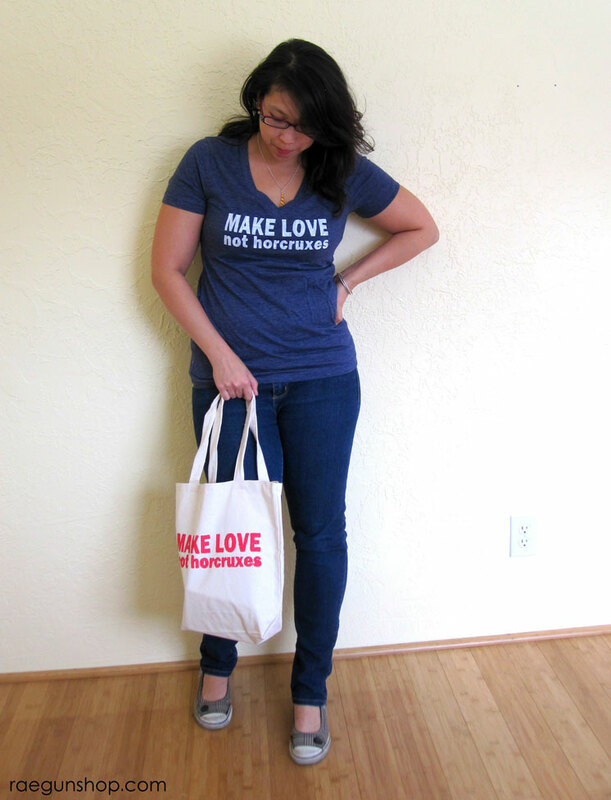 I loooooove this Make Love Not Horcruxes shirt. I’ve made myself many over the years but this was the very first of my Harry Potter shirt designs and still one of my very favorites. 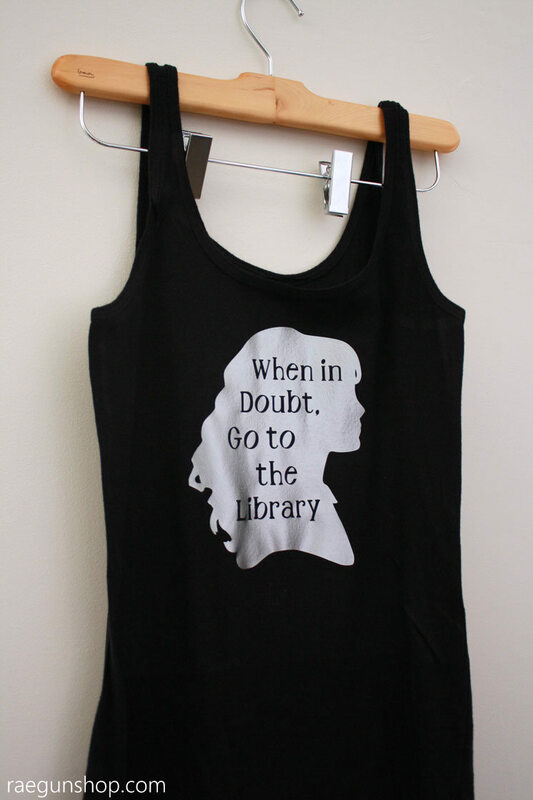 This Hermione Library Quote shirt is my personal favorite. I mean a we know how awesome Hermione already is and the library is so awesome too. So what’s there not to love right? 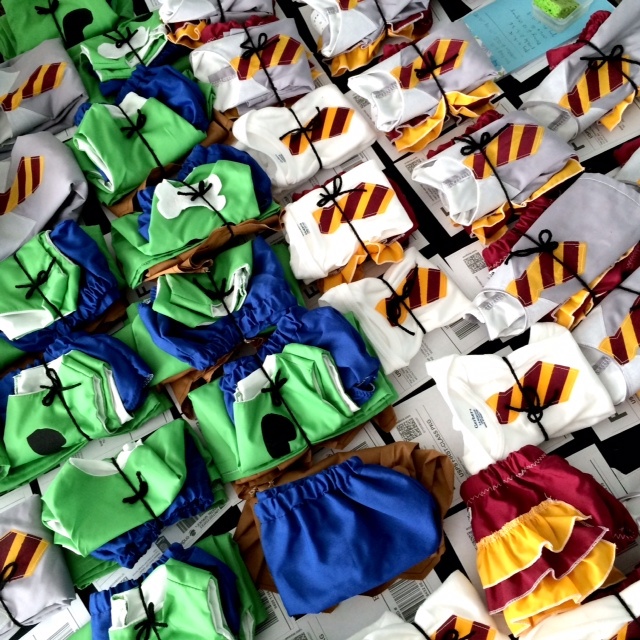 Personalized Hogwarts Student Shirts. 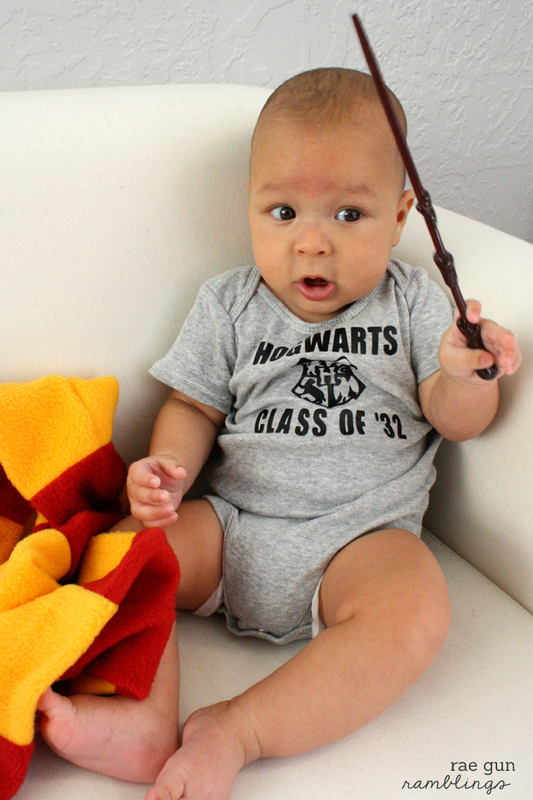 These can be made in both baby and adult sizes all you have to do is request your graduation year of preference! 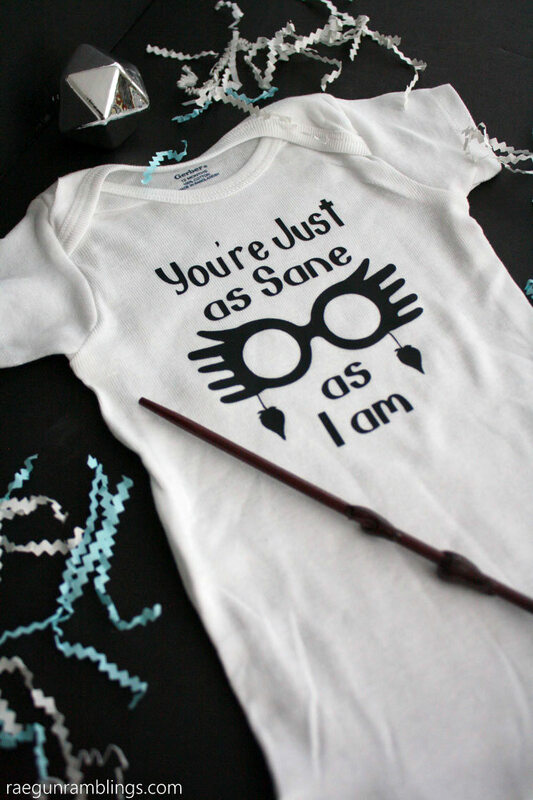 This would make a super fun baby shower gift or even a clever baby announcement. What more Potter posts? I have loads? 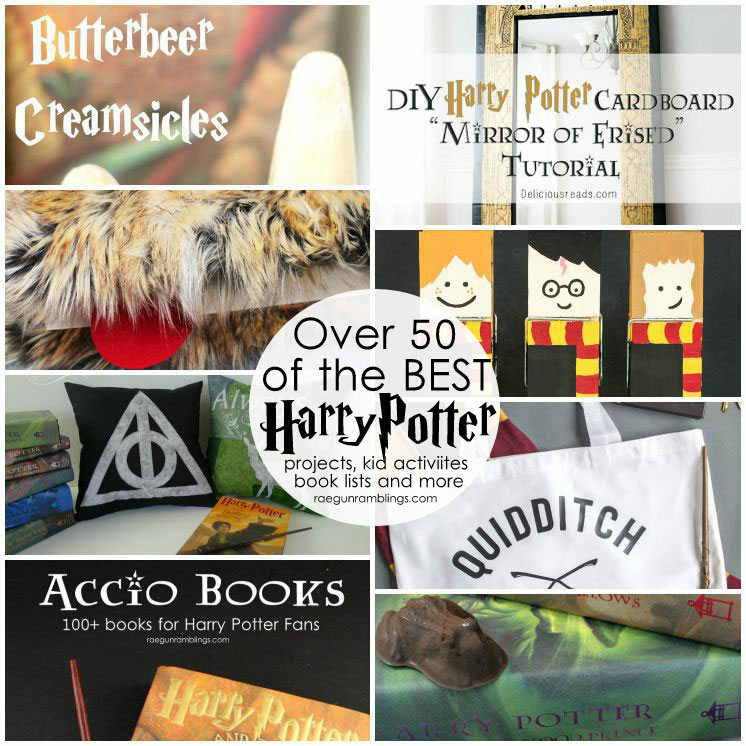 Check out more than 100 Harry Potter recipes, book lists, crafts, and more here. But for now here are a couple of my favs! A book for every type of Harry Potter fan. These are all great some as good as Harry Potter, I know sounds impossible right? 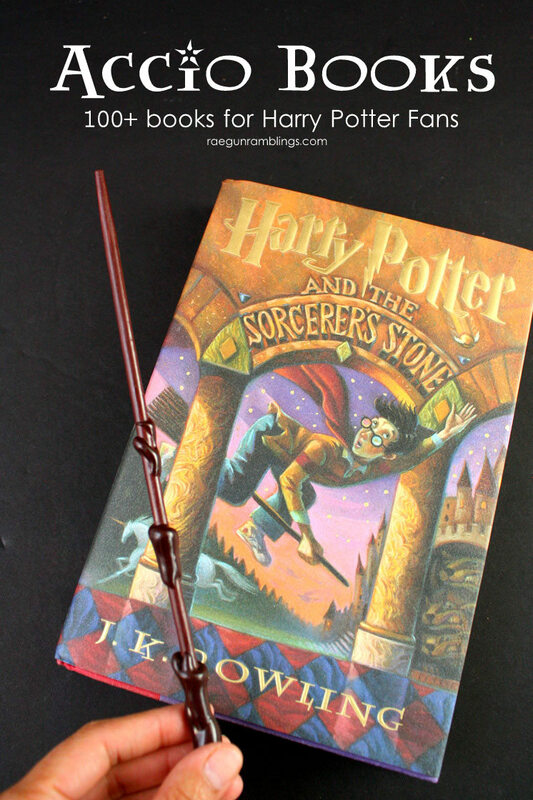 Every year I do a Harry Potter series every Summer with tons of blogger friends sharing all kinds of Harry Potter projects. This is my round up of just last year’s awesome Harry Potter projects. 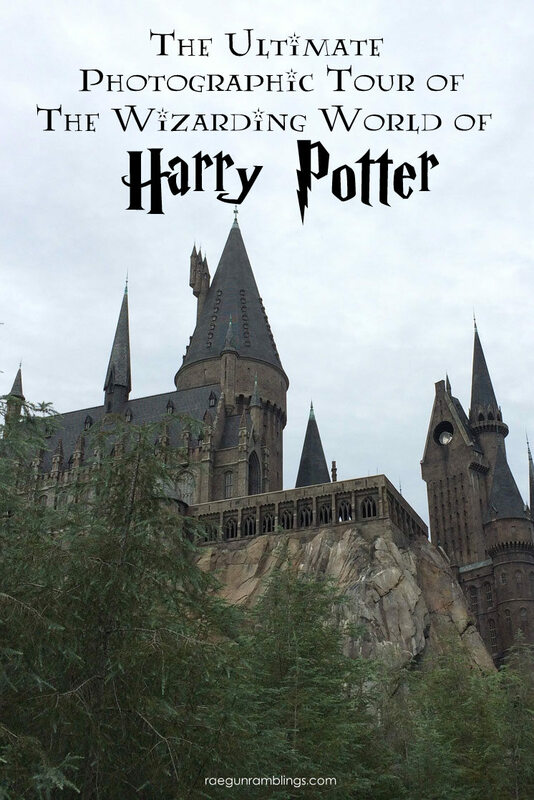 This past Summer we went to The Wizarding World of Harry Potter. And I shared a whole heck of a lot of photos in this post just so you could see the awesomeness from all different parts and angles and details a sort of Photo tour of Harry Potterland if you will. 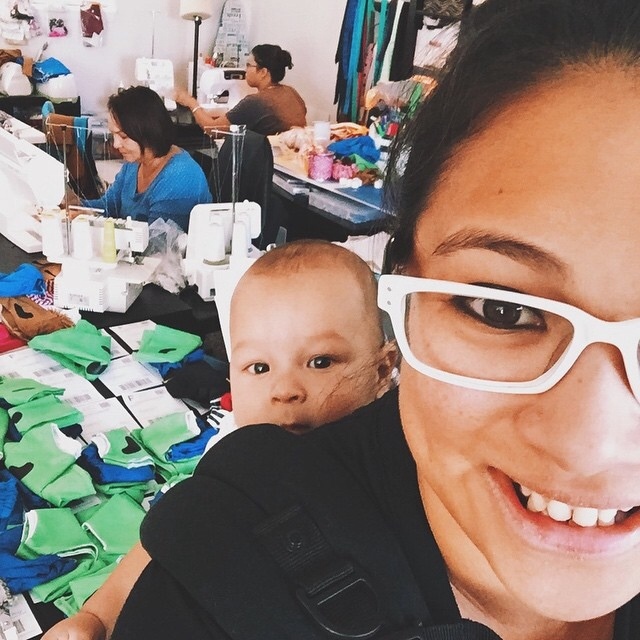 You guys mommy hood and the holidays are kicking my tush (oh man the crib to bed transition yikes!) so I’m getting my annual sale up a little late. Not to worry it’s one of my best yet. Also I just added over 30 listings for ready to ship items into my shop and all the Harry Potter goodies and costumes are still there and eligible for the sale. Now’s the time to buy! Make sure to stock up for baby showers, birthday parties and even next year Halloween since the prices won’t be this low again. 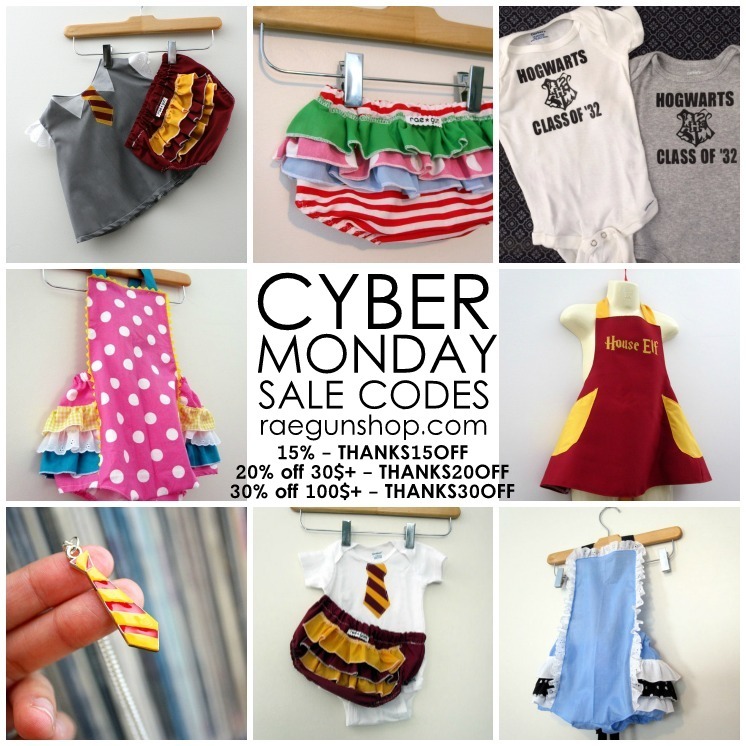 Use these discount codes in my ETSY shop when you check out. Please note I am unable to add the discount after you order. In order to take advantage of the sale you have to use the discount code. Codes good through 12/3/2015 11:59 PM MST but keep in mind that I have limited inventory at this time so I may sell out out of many styles and color options. Want a great Halloween costume for your baby or toddler this year? Oh great you’re in luck today I’m sharing some super cute ones. Every year these win costume awards I’ve even seen the pebbles and bam bam ones on the Today Show! Just keep in mind that the time to order is NOW. I get lots of costume orders and usually have to cut off taking orders in early October so if you want one of these please order as early as possible! I’m so excited to finally have a full shop again. I haven’t had anything besides my best sellers listed since Teddy was born. But I have a bunch of new items and restock of some oldies but goodies in my shop now. To celebrate I’m holding a sale. To take advantage just pick whichever discount code works best for you :) Also I would love you to share the code with any of your friends and families. If you are a newsletter subscriber you know I gave the codes to my mailing list peeps last week if you want to get updates, advance sales perks and exclusive codes make sure you subscribe to my weekly newsletter. You must enter the code at check out in my ETSY SHOP to get the sale. I just don’t have time to adjust prices after the fact. Sorry. Remember that I only do two main sales again this Summer one (which is normally just an Early Bird Halloween sale) and my Black Friday sale! 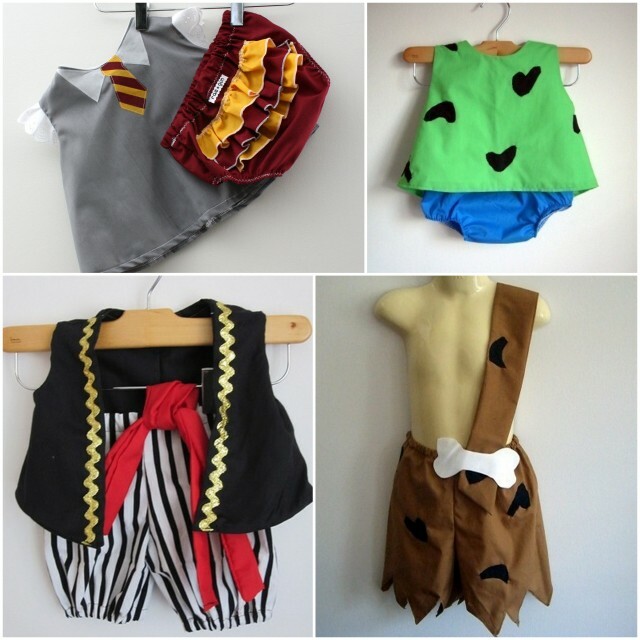 This year I’m opening all my items up for discount all my baby clothes, all my bookish items, costumes everything is game! If you are interested in having one of my costumes for Halloween this is the best time to get it. Not only will you get it discounted but you will also beat my Halloween rush! Happy Shopping! I didn’t get around to sending out Christmas cards. I thought about doing a New Years card but after seeing this darling customer appreciation picture I’m thinking a Valentine’s day card would be so fun. To help I’ve thrown together a bunch of fun ideas for Valentine’s Day photos outfits and prop ideas. 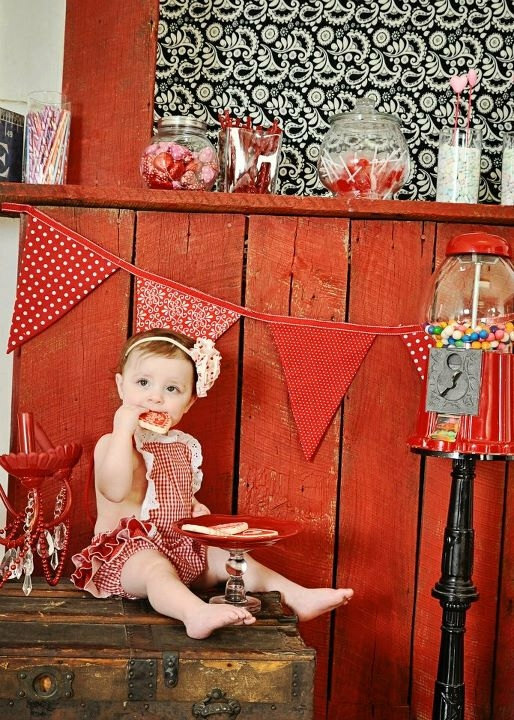 This little lady above is Anabelle the sweet daughter of Melissa from My Bliss Photography. She is wearing my Love Bird Diaper covers. 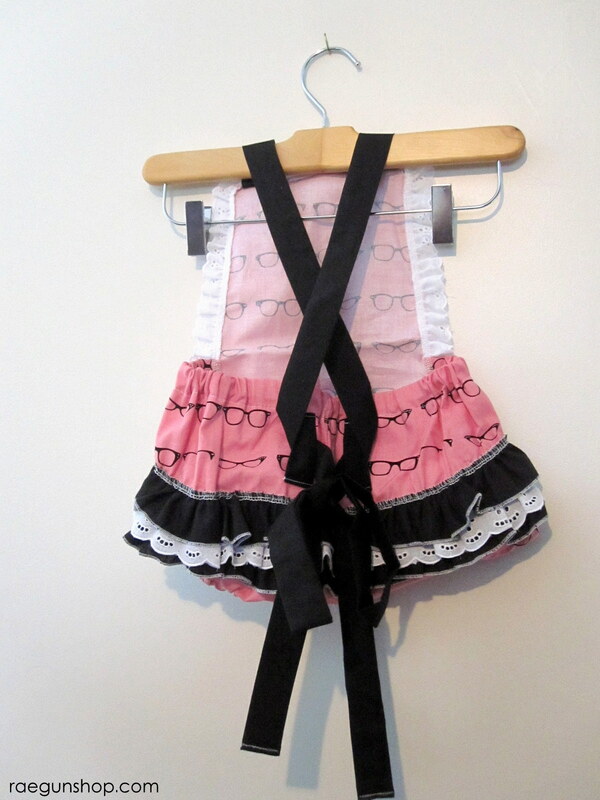 I just relisted those plus a few other Valentines appropriate outfits in my shop just in case any one wants to order in time for Valentine’s pictures. 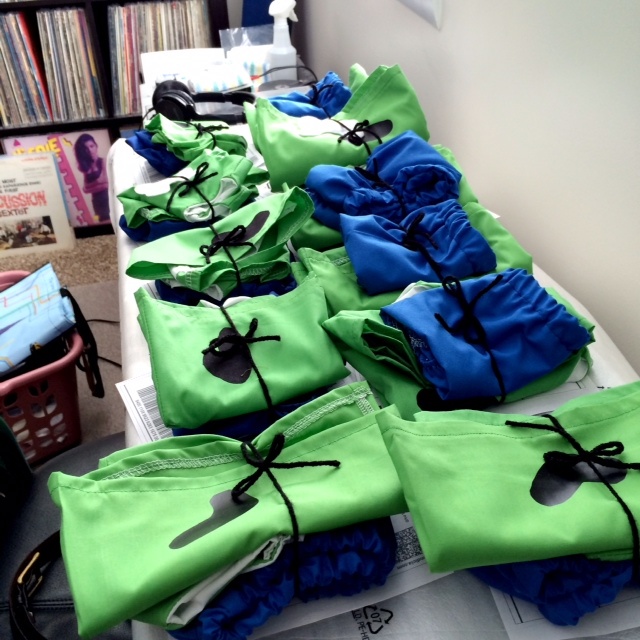 The normal turnaround time is 2-3 weeks before shipping so the sooner the better! And I shared this darling customer picture a few years ago but how could I not post it again. So darling right? This cutie pie is wearing my Classic Retro Ruffler. Just popping in to share the sale details and codes for this year’s Thanksgiving sale! Hope you all have something wonderful planned for today full of fun times with family and delicious food! I am thankful for you guys! 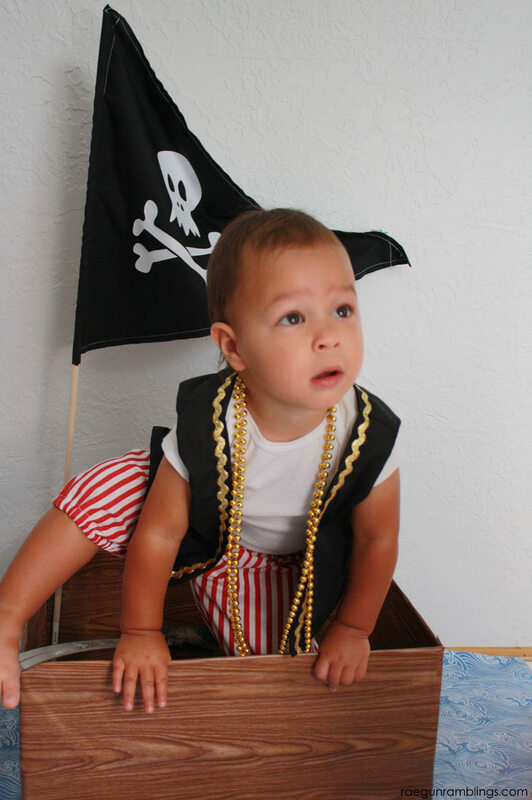 Everything in my shop is on sale baby clothes, bookish jewelry, shirts, bags, and costumes. It’s the only sale I do all year and a great time to stock up on gifts or get a head for Halloween next year! 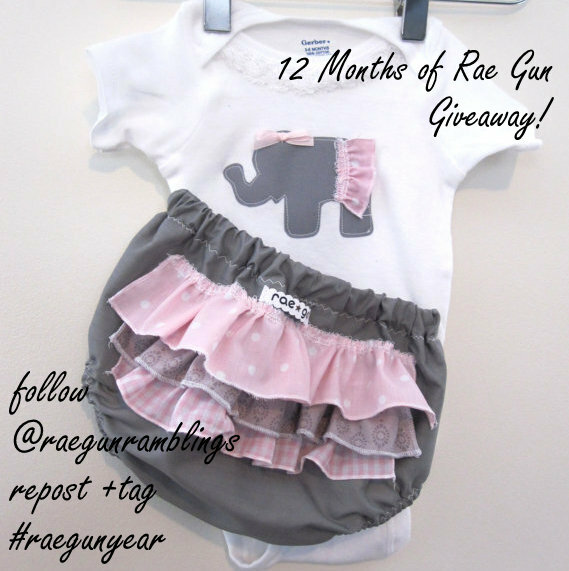 Hop over to raegunshop.com to check it all out! Just in case you can’t see the image here are some discount codes. You can decide which works for you. The sale is good 11/27 – 12/2. 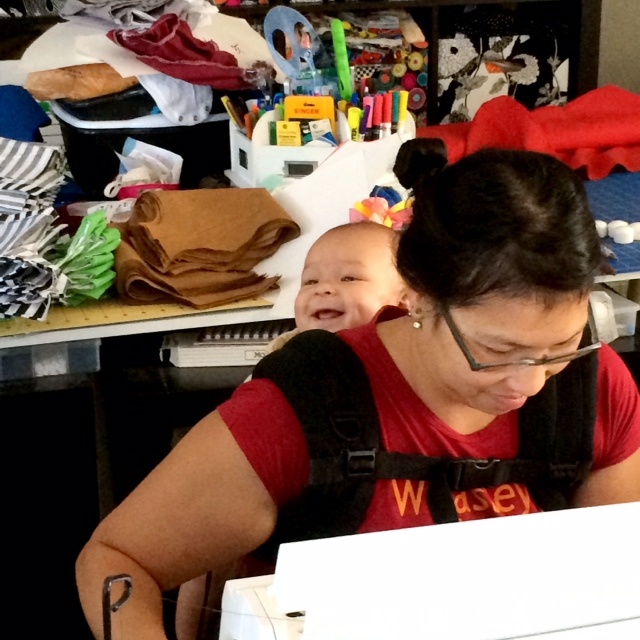 I’ve been sewing non-stop trying to get orders out as fast as I can. But just wanted to pop in and let you guys know that I AM still taking a few last orders. I’ll be taking them through this week and then I’ll re-evaluate. 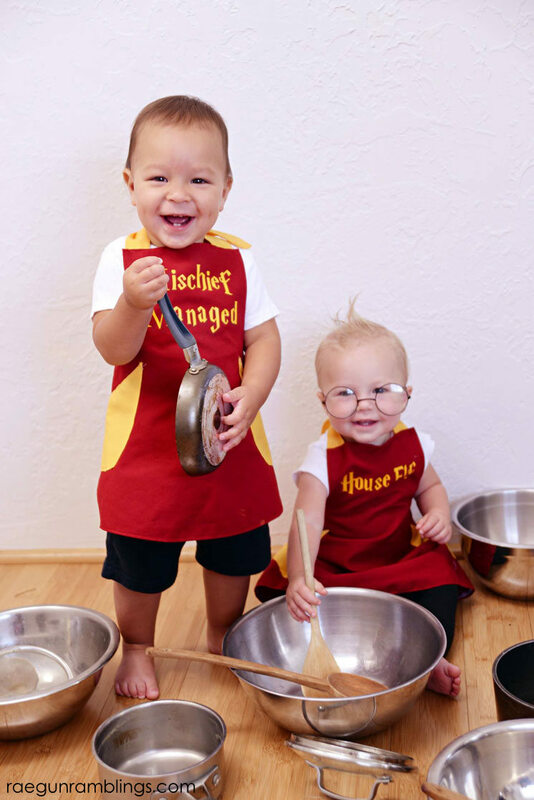 So if you haven’t gotten your orders in but still want to dress your kiddos up as Pebbles and Bam Bam, or maybe mini Harry, Hermionie, or another of your favorite Harry Potter Gryffindor Students, or even a fine Pirate you’ can still order in time for Halloween (with in the US). See all the costumes! And just in case you’re not on instagram, here are some peeks into my crazy Halloween costume making world! Teddy totally understands that September and October are all about costumes! Thankfully my family have been around to help snuggle as well as sew and pack and fetch food and anything else I need! 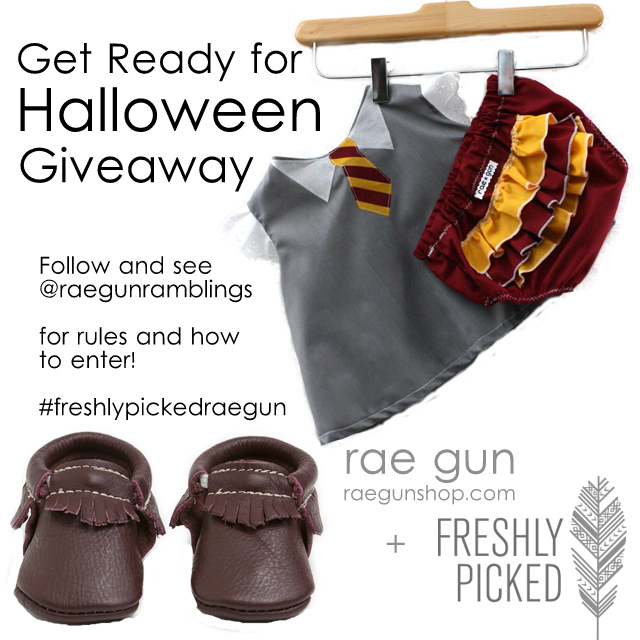 I’m kicking off the costume season with an awesome giveaway. If you’re new here things get busy in my shop for Halloween. 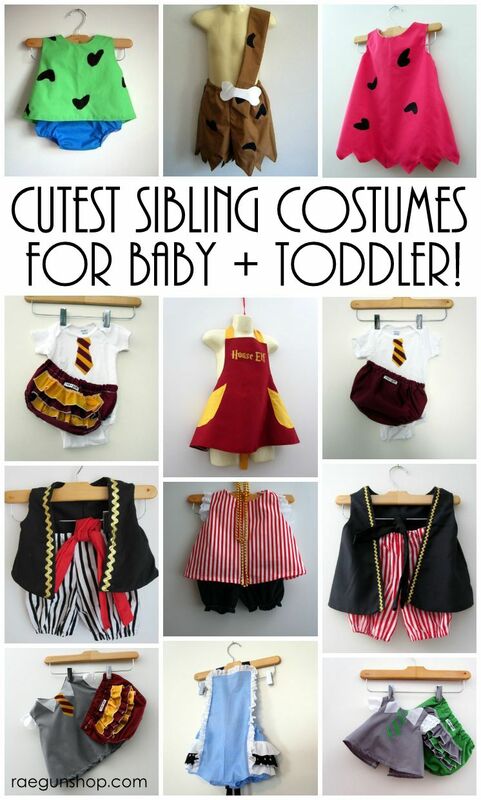 It’s awesome but I usually have to turn people away in October because I get SO many baby costume orders I just can’t physically fill them all. To help with that I try and encourage people to order as early as possible. So how about a little bribe? 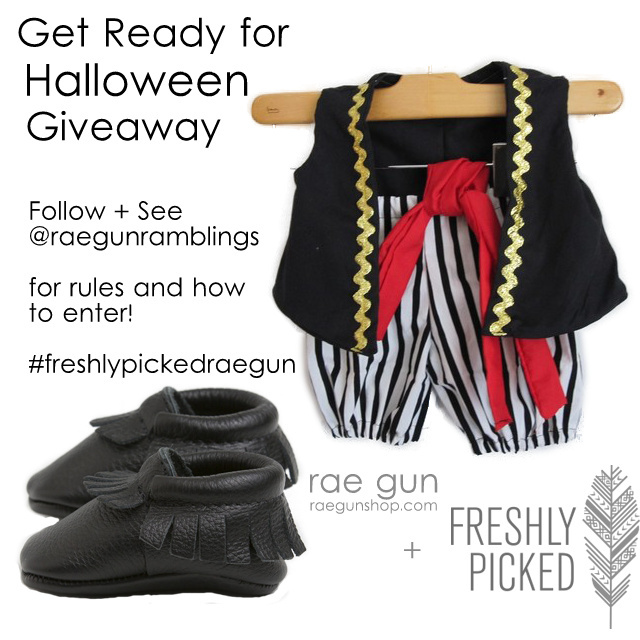 To help remind people to order their costumes early this Halloween I’ve teamed up with Freshly Picked for an awesome giveaway. 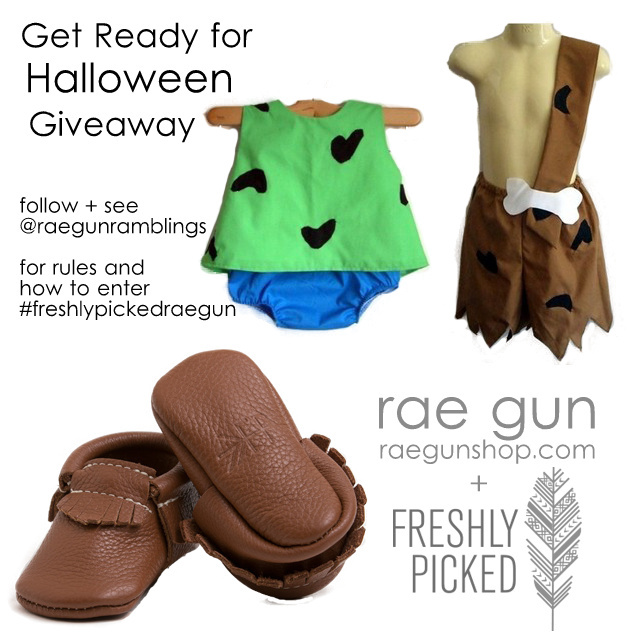 The winner gets their choice of 1 pair of Freshly Picked Moccs and 1 Costume from Rae Gun. 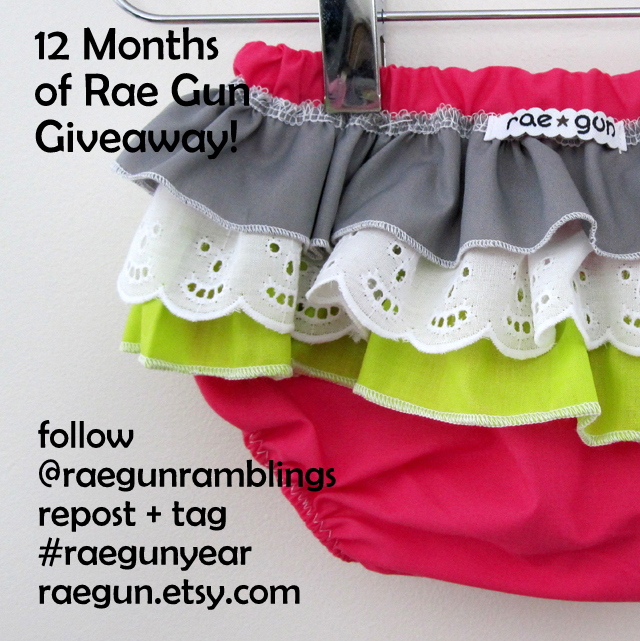 I would love you forever if you’d share this giveaway with you friends. I’ll pick a winner on Sept 11, 2014. Head over to my Instagram to enter! 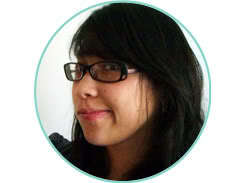 This Friday, yup tomorrow is my cut-off for orders from my Etsy Shop before I go on maternity leave. I have a few ready to ship items in very limited designs and sizes but for the most part my shop will be relatively empty. 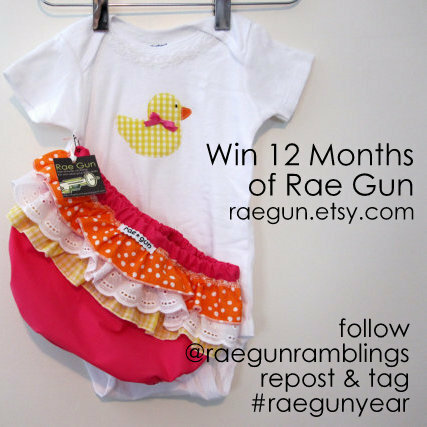 When I return I have some new and exciting things planned so if you have been wanting to order this is the last call for Rae Gun Baby Clothes and Bookish goodies as you know it. Don’t worry I have no plans to quit and I will be selling most of the same stuff after I return to work but, I will probably not have the same selection and there will hopefully be some good changes :) Thanks for all the support of the shop and excitement for Toasty. I’m very excited to see what all of this looks like in this new phase of my life. 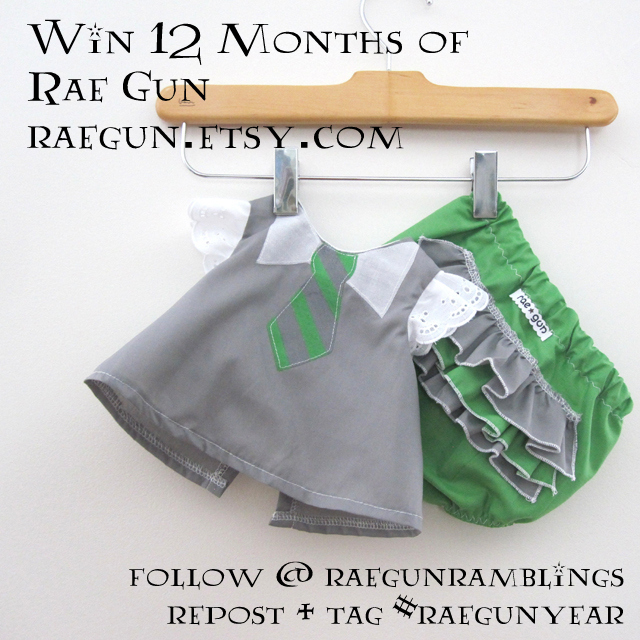 So if you’ve had your eye on something or need a present for a cutie pie or book geek before the Summer please check out the Rae Gun Shop. 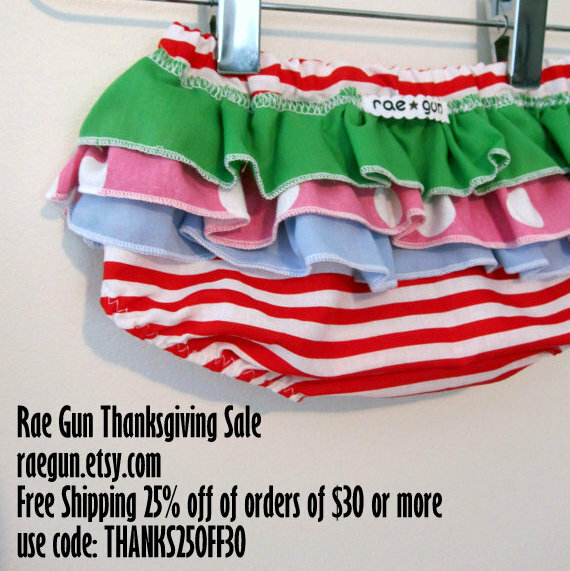 Thanksgiving Sale Info and Win Rae Gun Baby Clothes for a Year! I’ve been keeping a little secret and today I get to share. I’ve got a HUGE sale and giveaway planned for this week! And in case you were wonder YES this is the BIGGEST sale I’ve ever had and the BIGGEST giveaway I’ve ever done for the shop. 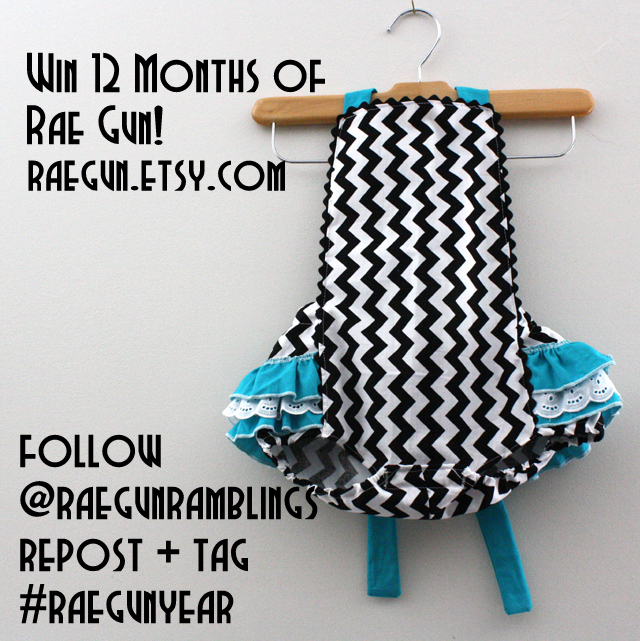 Starting today I’ve edited all the items in the Rae Gun Etsy Shop to have free shipping. Yes that is free shipping to anywhere in the world! Also if you buy 30$ or more you can use this coupon code THANKS25OFF30 for 25% off. Instead of doing random door busters and daily deals this year I’m letting you pick whatever you want! For those of you who are new around here. I almost never do sales except for this annual Thanksgiving Sale. 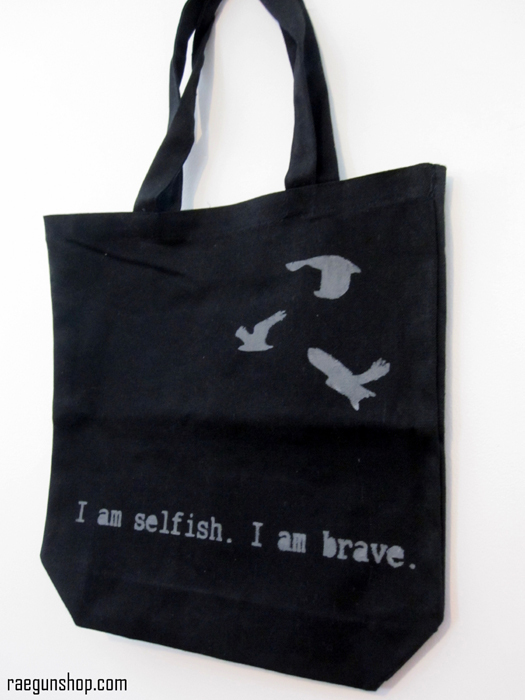 So if you’ve been wanting something from my shop now is the time to stock up. Buy for yourself of stockpile for all those Spring Baby Showers you’ll be going to (doesn’t it seem like SO many people are pregnant right now!). Free Shipping and the code will be good through Dec. 3, 2013. Feel free to share it with your friends! 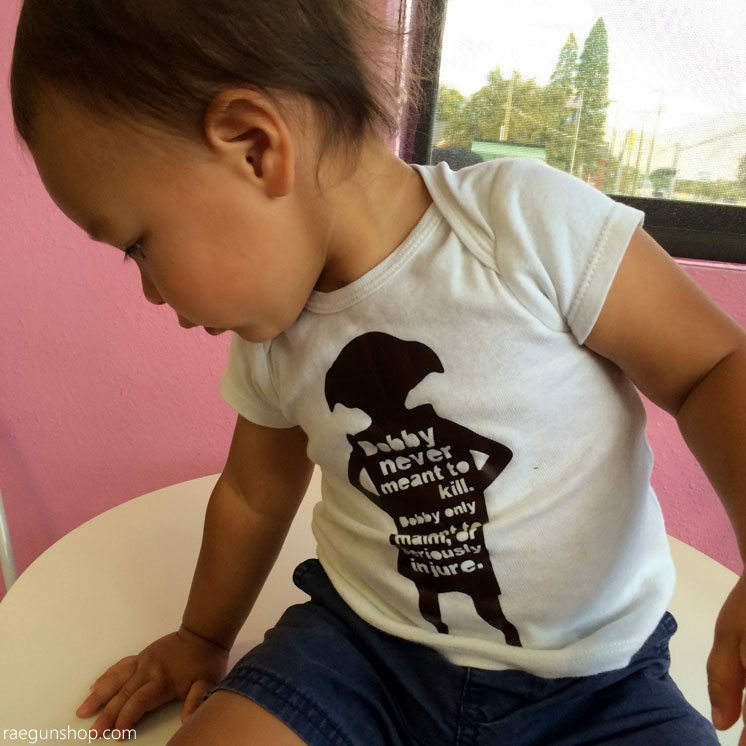 Check out all the cute baby clothes! Now for the Crazy Giveaway! 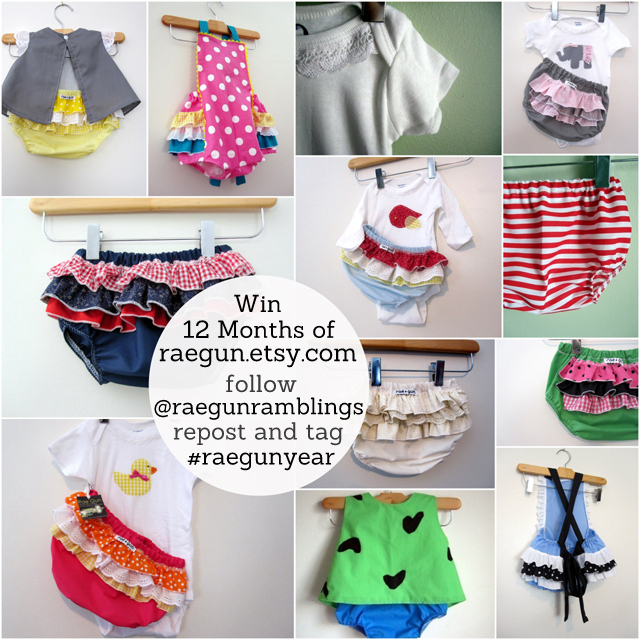 The winner will get to pick the sizes and which exact items she wants and any of the onesies can be done in long sleeves! That’s over $250 worth of goodies. With all those pregnant gals right now you’re bound to find some cute babies to share these with (or you can keep them all for yourself). Check out all the options in the shop. Now this is an Instagram giveaway. 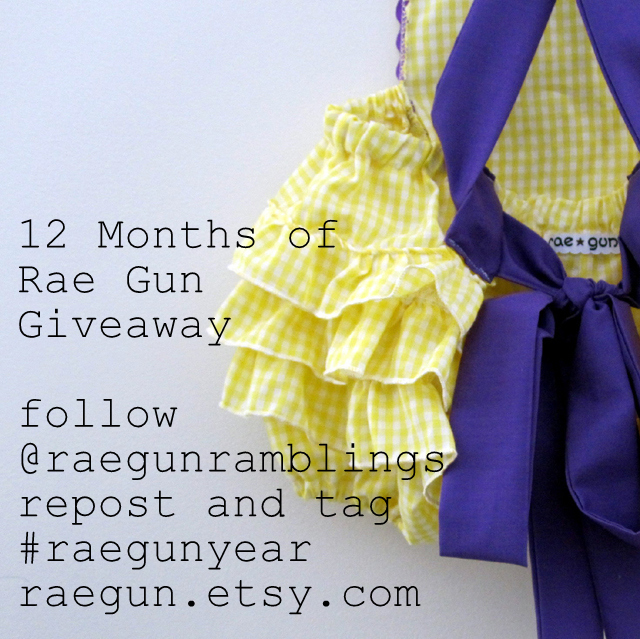 So to enter you must first follow me at @raegunramblings then repost one of these pictures and tag it #raegunyear . There are 8 pictures so you can enter a total of 8 times if you share all the pictures. 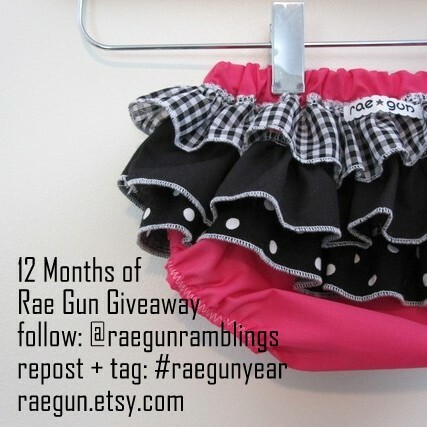 The giveaway will close on Dec. 3, 2013.